AMD: Athlon, Athlon 64, Athlon XP, Duron, Opteron, Sempron, Turion. Hewlett-Packard: Capricorn, FOCUS, PA-7000 ~ PA-8900, Saturn. IBM: IBM 801, Cell Processor, Broadway Processor. 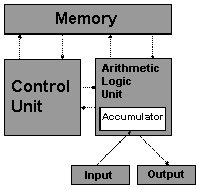 POWER: POWER 1 ~ 6, RISC Single Chip, P2SC. PowerPC-AS: A10, A25, A30, RS64. 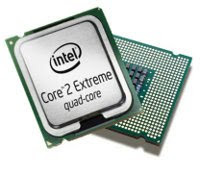 Intel: Itanium, Xeon, Core i5, Core i7, Core 2, Core, Pentium ( Pro, MMX, II, III, 4, D, M, Dual-Core), Celeron, Atom. MIPS Technologies: R2000, R3000, R3000A, R4000, R4400, R6000, R8000, R10000, R12000, R14000, R16000. Texas Instruments: TMS1000, TMS1100, TMS7000, TMS9900. VIA: VIA, VIA C3, VIA C7, VIA Eden. Zilog: Zilog, Z80, Zilog Z8000. Makasih. Tampilan website Stisitelkom.ac.id mantap!. Kebetulan saya juga sdg belajar-belajar desain grafis dgn photoshop, mau nyoba-nyoba freelance desain grafis.